This should come as no surprise. Americans are addicted to their smartphones. From the birth of the first iPhone in 2007, technology has crept into all areas of our lives. 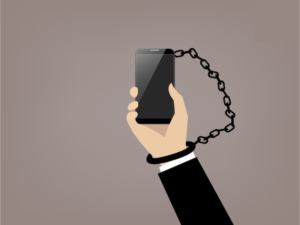 Some people feel that enough is enough, thus the need for a National Day of Unplugging. Although technology is useful in our everyday lives for listening to music, taking photos, making calls, texts and emails, there is this insistent tug for attention that makes it hard to focus and makes many people feel overwhelmed. This overload of stimuli has created a need to limit how much technology we use and at what times during the day we use it.